Back in March, Apple released the 2018 9.7" iPad, packing the powerful A10 processor and Apple Pencil support for only $329. This made it the cheapest tablet in the company's product line, and extremely good value for money. Weirdly, Apple continues to sell the iPad mini 4, a tablet that is less powerful, has no Apple Pencil support and is $70 more expensive than the main iPad. It also has not received any updates since its introduction in 2015, making it long overdue for an overhaul. After the 2018 iPad Pro was released, we compared the various iPads that are on sale, and advised not to buy the iPad mini 4, because it's simply a bad deal compared to the 2018 iPad. 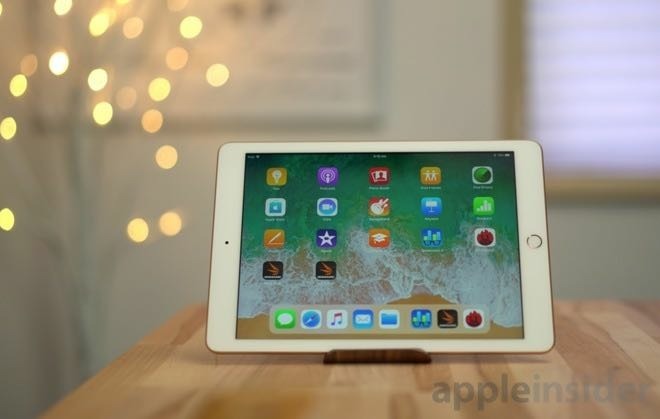 Thankfully, a bunch of rumors have surfaced pointing to a fifth-generation iPad mini and a 2019 iPad being released in the first half of the year. 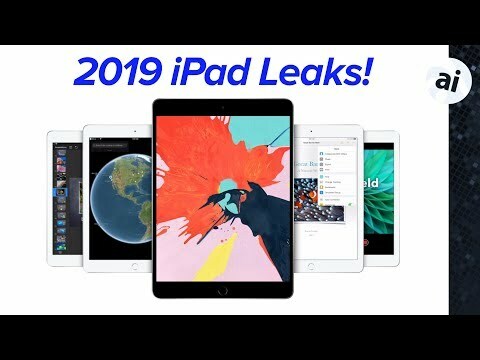 The first inkling of rumors about the 2019 iPads arrived in October. Well-known analyst Ming-Chi Kuo made the prediction that a new iPad mini equipped with an upgraded processor and a lower-cost panel is coming, but he didn't give any timetable for release. In December, sources of the China Business Times claimed Apple will be launching two low-priced iPad models in 2019, with the iPad expected to undergo a refresh similar to the new design of the iPad Pro. We'll have to see it to believe it, but if that's the case, it'll likely support the new Apple Pencil and its new wireless charging method, but we won't know for sure until it happens. Over the holidays, images of an iPad Mini 5 case surfaced on SlashLeaks, but they were quickly shut down by OnLeaks, claiming the case was made based upon a 2016 prototype instead of a newer design. Earlier this month, pictures of a possible iPad Mini 5 showed up on Twitter, packing an antenna line for 4G connections. Other than that, it still seems to be packing a headphone jack, lightning port, and a home button, so there may not be big changes coming to the iPad Mini 5 if the photographs are legitimate. DigiTimes sources claimed on January 17 two suppliers have already been contracted to supply touch panels for two new iPads coming in the first half of 2019. Way back in 2017, an alleged Apple source told BGR the iPad mini has been sized out of its own category. What's most interesting is the iPad mini 4 is still for sale on Apple's website, which points to Apple not giving up on the tablet line just yet. With all of these recent rumors, there's a good chance we'll see an iPad mini 5 sometime this year, but of course, there's no way to know for sure until either more solid leaks arrive or until Apple actually launches it. As for the iPad, a lot of us were already expecting an update in March, which is around the time when Apple unveils its budget iPad. It's hard to say if the talk of a major redesign will bear fruit, since any major redesign would warrant a price increase, and Apple wants to keep it priced low for the educational market. A switch to USB-C and support for the new Apple Pencil seems like it could actually happen without bringing the price up much at all, but at the cost of preventing existing iPad owners from reusing their accessories on the new model, something that has been mostly possible between iPad generations for a few years already. No matter what happens, AppleInsider will be covering the launches when they happen. If the iPad [Budget] went back to a laminated screen and dropped in A11, that would be enough for me and a great value. The nonlaminated screen feels a bit chintzy after yeras of laminated Apple screens. Plus, no antireflective coating on it. Apple never increased prices in the past for major redesigns (iPad 1 > iPad 2 > iPad Air). It’s the iPad. Do you call the MacBook the MacBook [Budget]? No, but I and many others often call it the Macbook 12 to distinguish it from the rest of the Macbook line without it having an official suffix. iPad 9.7 if you prefer, [budget] being half tongue in cheek. I don't care what folks call it but I'd sure like a new mini that was current with the latest tech. FaceID is optional but I'd like pencil support. I'd be happy with a mini that has current specs, a Home button, and Pencil support. My mini 2 is very useable but long in the tooth. While the new pencil can’t be recharged on the old iPads, there’s no reason I can think of as to why the old Pencil can’t be recharged on a USB C device. It *should* just need a female lightning to USB C adapter. It comes with a female to male lightning adapter now. It’s up to Apple really. It’s just whether the software in the device recognizes the pencil. I would love to see the iPad mini as a premium item and not an entry level device. Latest chipset, connectivity and display- really do not care either way about the stylus/pencil. What would be even better (but is not likely to happen) would be to have an iPad mini enabled as a cell phone that could tether to the Apple Watch. I would drop my iPhone X S keep my series 4 watch and get one of these. I would much prefer an iPad mini as my cell phone over any iPhone. I love my iPad mini 2...it's one of those quintessential Apple devices. Thin, super-lite, elegant and useful! The perfect mobile device! The iPad dominates the tablet space. I hope the new Mini has the form factor of the Pro, but not all the expensive features, at an attractive price. Once again, no love for the laminated screen with anti-glare coating!?! Not only that, the iPad Mini 4 was reviewed for its color reproduction and it was rated the highest at the time, of any iPad or tablet on the market, (yes, including the 1st gen. iPad Pro 12.9, however, the next iPad, the iPad Pro 9.7” moved to the top, officially achieving P3 wide color gamut, though the Mini 4 is very close). The laminated screen also means a thinner iPad. 2018 9.7” iPad has the old glare retina screen, perhaps a little brighter than older models, but, it does not have the color nor other benefits of the laminated screen. I agree with others, we do not want a cheap iPad Mini, it should be in its own category for its size, not based on price as compared with larger, but, cheaper screen sizes. - Touch ID is fine, (Face ID not necessary), with the previous iPad Pro form factor is fine, (like in recent pic rumor). - lightning connector is fine, faster charging with USB-C should be available. It absolutely MUST have a new laminated, anti-glare screen with full P3 WCG, and HDR support. If they offer it with a cheap, glarey retina screen, they MUST also offer a Pro version with the above mentioned laminated, anti-glare screen...this is not optional! Agreed. The iPad Air 2 was the peak of no-compromise design for its time. Now it’s all too price gougey and too camera bumpy, or just way too thick. In the end I kept my existing Air 2. I want them to pair the price, camera, and form factor of the Air 2 with the bezel-free display and pencil 2 support of the Pro. - mouse support. I know it’s controversial, but Apple once said they don’t believe in people touching a screen that’s upright, and they were right. Look at what they are selling now: keyboard covers that cause the iPad to stand upright. A mouse cursor is really needed so that I can work fast, minickimg 1 finger behavior. A few articles are speculating A12x....A budget 2019 iPad, in my opinion, will more likely NOT have the A12X found in the 2018 iPad Pro. For a budget iPad to have the same processor as an $800+ Pro will not sit well with Pro owners. I suspect a 2019 entry level iPad will have the A11 found in the iPhone 8’s which is still plenty capable for the average user, or perhaps an upgraded A11X. Something tells me Apple will want to avoid pushing prices too high in this range. With the cellular AW there’s no reason not to be able to pair it with any Apple product. I have argued since the beginning that there was no reason to restrict the watch to the iphone, with some acceptable limitations to its use in some locations in the field, but with built-in cellular, I don’t see any reason why it couldn’t be expanded to any Apple device, including Macs, with a companion app device support. This is especially true for iPad customers, which is still the primary tablet purchase even for Android phone users, and would only help sell more watches and expand Apples ecosystem. Purchasing a brand new iPad Mini 4 is a horrible deal. The basic 9.7 inch iPad starts at $330 with WIFI only and 32 GB of memory. Plus it got updated in 2018. You are getting a up to date modern tablet for cheap. Lots of useable years of service. The iPad Mini 4 only comes with 128 GB of storage and WIFI cellular not sure) and costs $399. It came out in Sept of 2015. You are getting a 3 1/2 year old tablet. You are getting older technology You are getting a slightly smaller screen. Years of serviceable use will be less. The Mini 4 will lose the ability to upgrade to the latest IOS the soonest. Its not a bad deal its a Awful deal plus you have to spend a good amount of money on one. I have a iPad Mini 4 and use it daily. Got in Oct 2016. As of March 2019 its still useable. Has slowed down just a little but plenty useable.